pH as referred to in chemistry and agriculture is a measure of the acidity or alkalinity of a substance. In horticulture, pH is used to measure the activity of hydrogen (hydroxyl & hydroxide) ions in an aqueous solution. The concept of pH was first introduced to science in the early 1900’s, and in following years revised and developed into the modern definition and measurements which are used today. The “H” in pH represents “hydrogen”, while the “p” is usually interpreted as either power or potential. So translated, pH simply means the “power”, or “potential” of, the hydrogen in a given substance. The pH scale is a tool used to determine the pH level of a specified substance. The pH scale ranges from 0 to 14, with 0 being the most acidic, 14 the most alkaline, and 7 being the neutral midpoint. 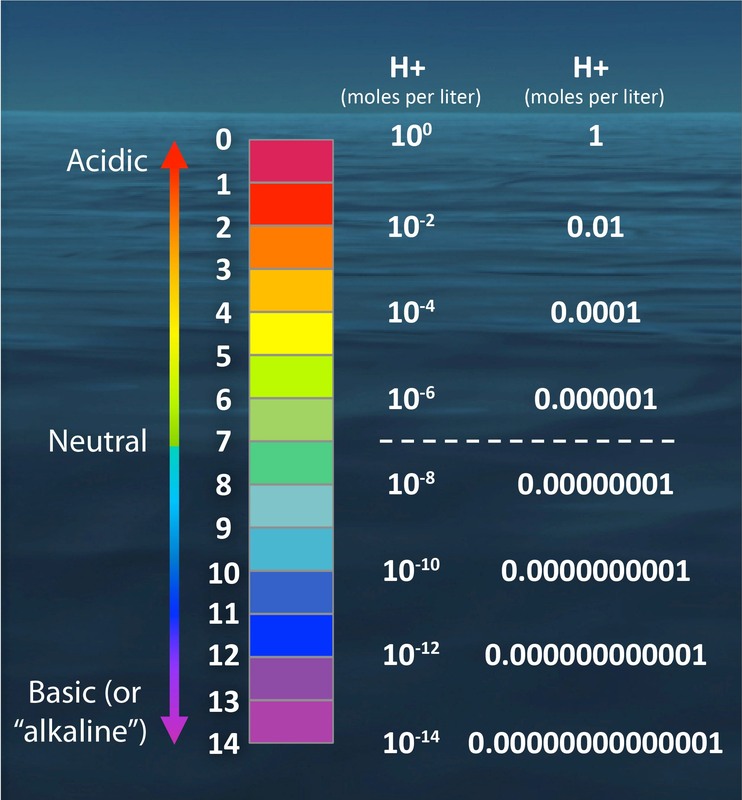 The pH scale is logarithmic, meaning that each value above or below the neutral point of 7 represents a tenfold increase in acidity or alkalinity from the previous unit. For example, a pH level of 4.0 is ten times more acidic than a pH level of 5.0, and a hundred times more acidic than 6.0. On the other end of the spectrum, a pH level of 9.0 is ten times more alkaline (or basic) than 8.0. So obviously, this makes it crucial to take accurate readings when testing pH levels of a nutrient solution. Why is pH Important for Plants? The pH level of a growth medium, be it hydroponic, specialty soil, or a prepared soil, has an oversized impact on a plants health and life-cycle. Indeed, pH strongly influences most factors of plant growth; especially nutrient uptake. This is why it is critically important to consider the pH level of the soil or other medium plants are being grown in, as well as the solution they are being hydrated with. Maintaining consistent pH levels is crucial to maximizing nutrient uptake, so frequently monitoring pH in a hydroponic system is an absolute must. 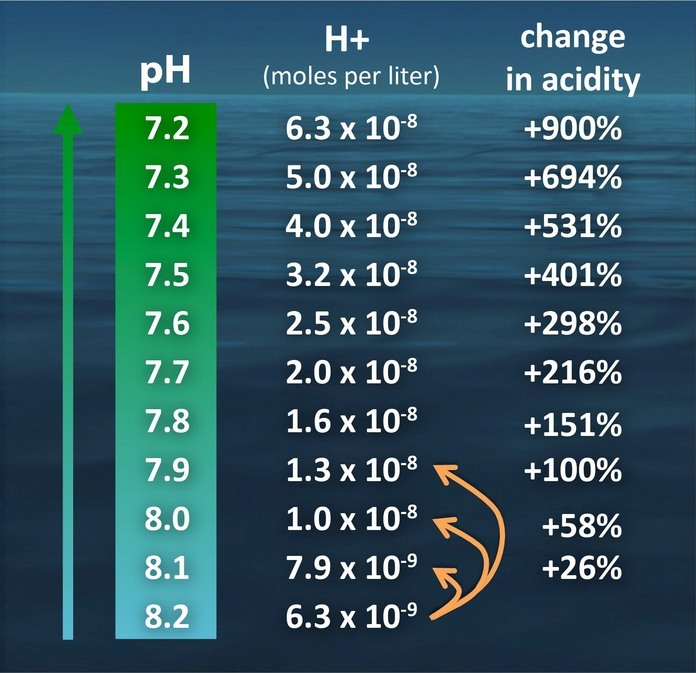 And even though when growing in soil the pH safety margin of the hydrating solution is slightly wider, a healthy pH environment necessarily requires that soils be pH stable and properly pH balanced. It’s worth noting that given the overarching importance of pH to gardening success, the various methods for measuring pH can at times give imprecise or inaccurate readings, so multiple testing methods are a wise insurance policy. Certain plants prefer and respond more favorably to either acidic or alkaline environments. Similar to animals, different plant varieties have different food preferences. Many varieties of citrus fruits and berries, for example, thrive in a slightly acidic pH environment; while many flowers prefer a slightly alkaline environment. Further still, many plants, especially agricultural crops, are more pH tolerant and do well in wider pH ranges beyond the neutral point of 7. Plants rely on a specific group of primary, secondary and micronutrients to provide the bulk of their nourishment. Without proper nutrition, plants experience deficiencies which impede growth and yield. Critically, mineral nutrients are only soluble in a solution when the pH level is balanced within a relatively narrow prime range (in hydroponic gardens, usually between 5.6 and 6.2). Macronutrients tend to be less available in soils with low pH, whereas micronutrients are less available in high pH soil. If pH levels stray from the ideal range, vital nutrients will be rendered unavailable to the plant; meaning the plants root system will be unable to efficiently absorb and utilize the nutrients in the grow media. Certain diseases thrive in environments that are overly acidic or alkaline. For example, the all-to-common problem of powdery mildew thrives on the surfaces of leaves with a slightly acidic pH. Thus, by treating the leaves of a contaminated / diseased plant by applying a foliar mix containing a higher than neutral pH of 7, this will begin to kill the mildew spores and also aid in preventing the recurrence of the disease. While different plants prefer varying ranges of pH to achieve optimal growth, most plants cultivated in soil will perform best when grown in a pH range of about 6.0 to 6.5. When growing in soil, the grower should always pH test the natural soil or soil-mix for consistency, and of course, the solution being used to water the plants. Fortunately, most commercial-grade specialty soils that come pre-bagged are pH balanced and tested. So it is the input water/nutrient solution which must be carefully monitored on a regular basis because the pH and PPM’s of publically available water can range significantly from month to month and region to region. Also, the pH of the nutrient feed solution should be checked after adding fertilizer and adjusted with a quality pH up or down solution to reach the optimal range of 6.0 to 6.5. As with soil, plants grown hydroponically have pH preferences depending upon the plant variety. In general, plants in a hydroponic environment tend to develop well in a slightly more acidic environment than plants grown in soil. A pH range of about 5.6 to 6.2 is ideal for most hydroponic growth. It is particularly important to maintain pH consistency and stability in hydro, as all of the plant nutrition is coming from the fertilizer solution. Too high or too low of a pH level will prevent either macro or micronutrients from being absorbed by the plants. In addition, when growing hydroponically, the medium used – whether it is inert or not – will have a slight effect on pH levels due to the composition of the material. During the course of a plant growth cycle the pH level of the nutrient solution will tend to fluctuate. This is a natural occurrence and should be expected; and it occurs because plants use different elements such as nitrogen, phosphorus, and potassium at varying rates of consumption. As plants absorb and utilize nutrients in the mix, certain substances will be depleted in greater amounts than others, which in turn tends to raise the pH as nutrients in the feeding solution are taken in and digested. Although there are several methods of testing available to urban gardeners, including the use of paper test strips and liquid indicator solutions, by far the preferable and most accurate is a digital pH meter. Because of their accuracy and ease of use, this is the most logical choice for serious growers large or small. 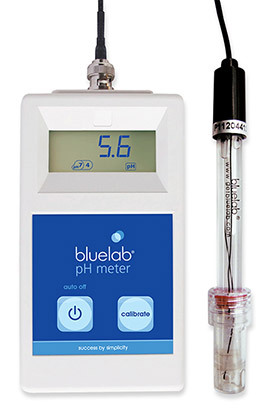 Digital meters use a glass bulb electrode to precisely determine the pH of the solution being tested, and they’re able to take a precise measurement rapidly. However, digital meters do have drawbacks. Mainly, they are fragile, sensitive and must be calibrated often. They are notorious for breaking down and giving inaccurate readings if not cared for properly. Therefore, because precision is so important, if one relies on a digital meter it is an absolute must to keep it clean and moist when not in use. It’s also recommended that a liquid test kit be kept on hand to confirm digital readings when readings are in doubt. A number of everyday household items will influence the pH level of purified water. Because of its acidity, lemon juice may be used to lower pH, while common baking soda is sometimes used by hobbyists to raise pH. However, the serious grower is better served by using specifically formulated pH adjusters which are designed to work synergistically within a hydroponic nutrient mix. There are numerous brands of pH up and pH down available at retail hydro stores, but it’s recommended to avoid those brands which contain colored dyes, as these artificial dyes make no contribution toward plant health. Also, the premium pH adjusters usually contain more than one pH influencing compound, as multiple compounds will provide for greater pH stabilization along with less fluctuation. Another product option to consider for use in pH adjustment is to simply administer more of a nutrient additive which has a naturally low or high pH in its concentrated form. Humic/fulvic acid usually has a pH of approximately 3.5, so when minor to moderate downward adjustments are needed, this highly beneficial organic acid is the preferred method of many professional growers. Conversely, in situations where only minor upward adjustments are needed, a potassium silicate product is a viable alternative because potassium silicate in concentrated form has a pH of about 11, and also promotes structural integrity in plants. In conclusion, there are many important factors to consider when ones goal is to grow a successful garden, and maintaining optimal pH should be at or near the top of the priority list. Attention to detail in this regard and clearly understanding the vital role which pH plays in healthy plants and bountiful yields will go a long way toward ensuring that ambitious crop yield projections are met.